I spend a good portion of my week talking to someone about the anatomy and physiology of a dog’s mouth. I explain how the scissor bite and enzymes in the salvia are specifically designed to tear through and digest meat. I have had this discussion while my own meat-eating canine friend stands beside me chomping down on grass! 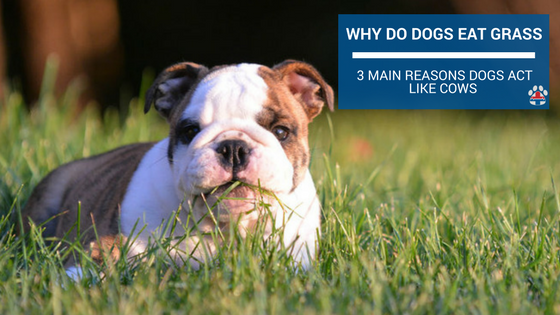 Why the Heck Do Dogs Eat Grass? Unlike a cow, dogs lack the ability to truly digest grass. Even as humans we lack the ability to digest grass to the point that we could extract its nutrients for sustainability, we just do not have the biological makeup for it. But that doesn’t mean we can’t eat it, we can literally put anything in our mouths, especially if we enjoy it – dogs are no different. These are certainly not the only reasons, just the most popular and even the third reason is highly argued. Some researchers and canine experts do not believe that dogs have the cognitive ability to know that when their stomach is upset, eating grass to possibly cause them to vomit is a relief, while others firmly believe this to be true. The takeaway from watching your dog munch on the green morsels is that it certainly is common and generally not a major concern. If your dog suddenly starts eating copious amounts of grass, beyond their normal occasional munching you may have a digestive issue or even behavioral problem going on. Also, keep in mind the safety of the grass on which they have chosen to dine. Many of your neighbors unbeknownst to you could be treating their lawns with chemicals. There also could be a weed or other greenery that could potentially make your pup sick so pay attention to what they are eating, where it came from and how much they may have had. 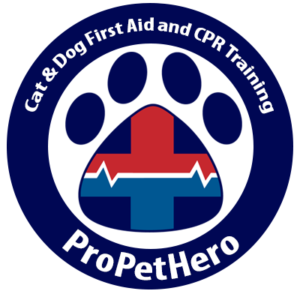 As always, pay attention to the behaviors of your pets, particularly the eating habits. Sudden onset of grass chomping could lead to vomiting and diarrhea. It’s our job to be their advocate for their health so know you the signs and symptoms of when something is wrong, and most importantly, know how to appropriately act. Here’s a great short video from our friends at Why Does My Dog_______? Ally reminds us to watch out for fertilizers and pesticides as those truly can be harmful to our canine (and feline) friends.